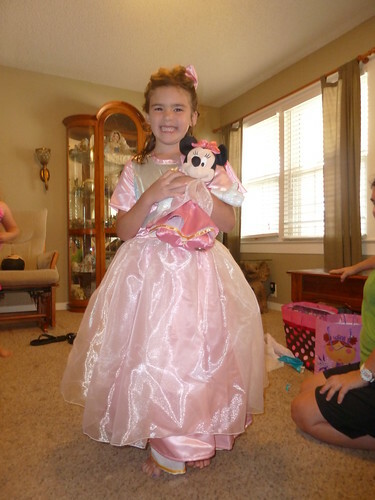 Wednesday, May 25, 2011 was Anna’s sixth birthday. She was so excited! I think it is the first time that she showed just how excited she was. 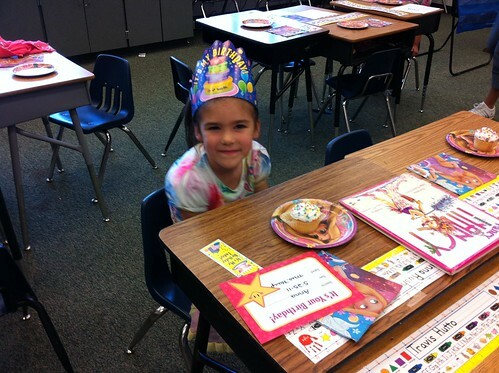 She told everyone at school that it was her birthday and I brought cupcakes to school for her class during snack time. She has come out of her shell a lot this year, but she still doesn’t like having attention called to her. When they sang to her she just put her head down (I don’t know where she gets that from)! 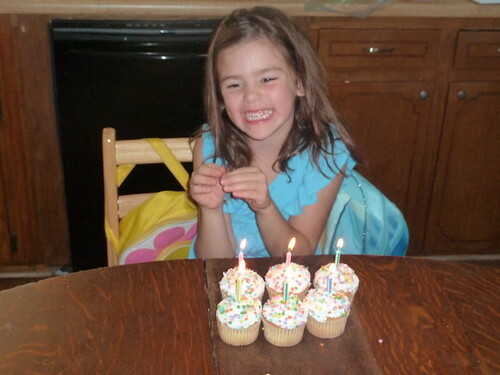 Later that night we had some cupcakes to celebrate as a family and she got to open two presents. Her face says it all! She could hardly contain herself. On Memorial Day we had Anna’s party with a few of her friends. Anna was less than a week old when we had a bunch of people come to our house in Picayune, MS to meet her for the first time and it was on Memorial Day too. I think that will always be her first birthday party even though there wasn’t any cake. 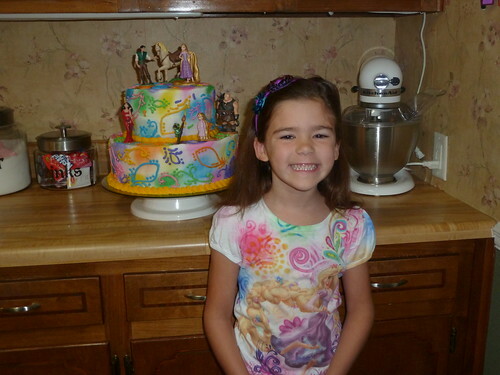 Here is Anna with her birthday cake. She wanted a Tangled party and since I didn’t want to make the tower, we decided to try to match her shirt that she loves and then just stick the characters on top. She loved it! I think these next two are my favorite pictures of the day. 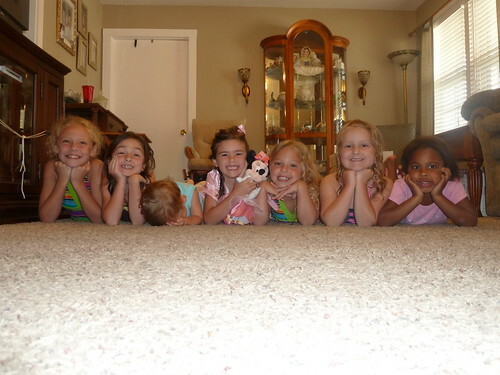 I didn’t crop the second picture, but I wanted to include it to show how silly Luke was being in a room full of girls. 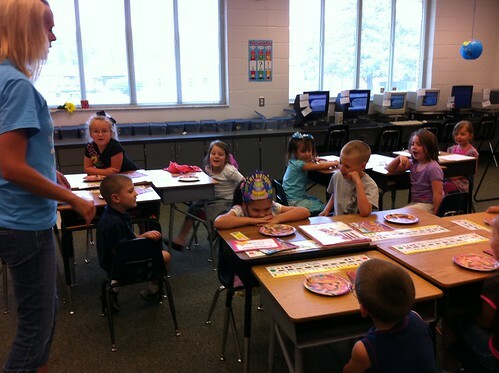 He had them all laughing every time he’d put his head down and act bashful. Anna wanted a play dress to match her Minnie Mouse doll, so we had this one made by some lady in Mobile, AL that can make anything. Anna was thrilled with it! 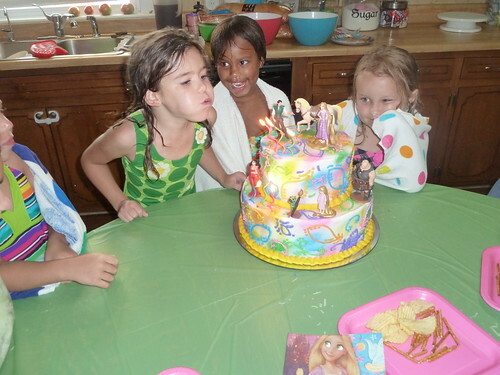 Here is Anna blowing out her candles. 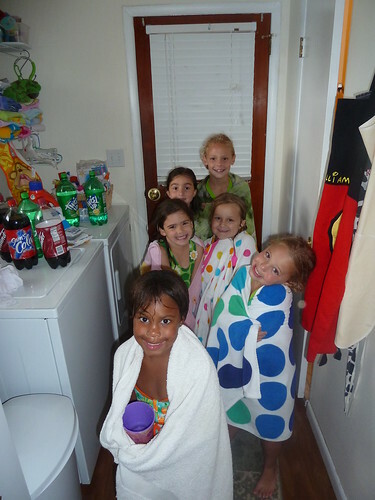 Here is the gang coming in from the pool getting ready for cake. 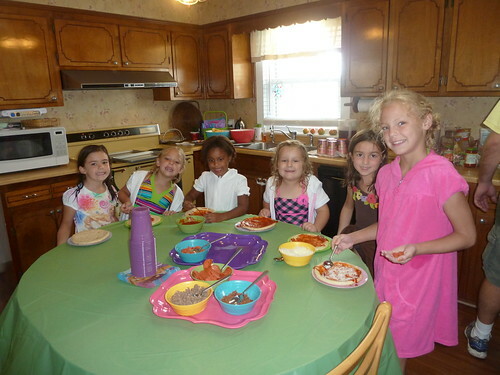 Instead of ordering pizza (and since there wasn’t too many kids), we decided to let them all make their own pizza. And I think the adults (me specifically) made more of a mess than the kids did. 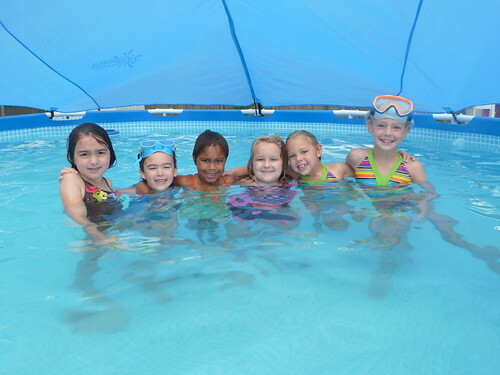 Here they all are in the pool. Here is a close up of the cake for those of you that didn’t see it on Facebook. 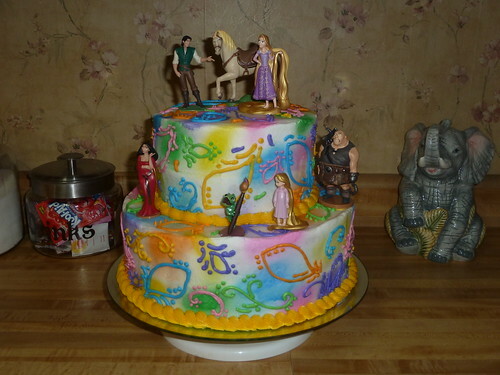 I am so glad that I get to make my kids’ birthday cakes. Thank you Aunt Sister for teaching me how to decorate cakes. I think Anna had a very happy birthday! Thanks to everyone who came to the party, called her on the phone, sent gifts, cards, or balloons, celebrated with us in any way, or helped in any way to make Anna’s birthday so wonderful!